I’ve got a new Christmas Present Strategy. 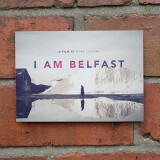 In short – all of the gifts I buy this year have to be made in Northern Ireland. Or at least designed in Northern Ireland. 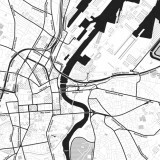 On Christmas Eve I may be found making ‘I love Belfast’ T-shirts in the kitchen, but it’s looking promising so far – I’ve made a pretty good list of highly covetable items below (which is MAINLY for other people). Price range is £10 – £200. Spoiler alert family and friends: your present is likely to be on this list. 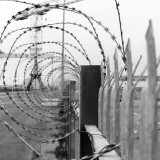 This Christmas – Buy NI! 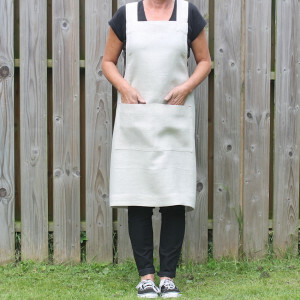 This Linen Cross Back Apron is a beautiful, practical, well-designed item and at £35 is incredibly good value. Made from pure Irish linen (in one of the few operating mills in Northern Ireland), it’s super comfortable and comes in 5 colours – Blue, Black, Grey, Oatmeal and Khaki. 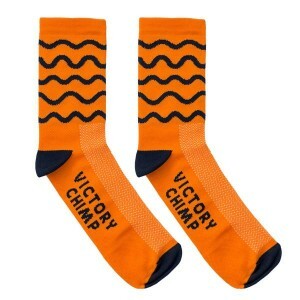 It’s also machine washable. For £40 it comes as a gift set with an Irish linen teatowel. I’m saving up for a really large one of these beautiful blankets! 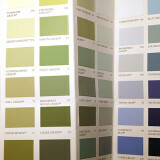 Prices start at £54 for the smallest, and there’s an extensive colour palette to choose from. I’ve seen a 40 x 60 inches in Mink and I just wanted to get underneath it. 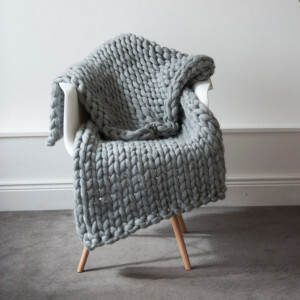 Each blanket is handmade with massive knitting needles, from pure hand-spun 21 micron merino wool. The effect is luxurious yet relaxed and fun. Place Mats are not everyone’s cup of tea on the table, but for someone who enjoys the celebration and ceremony of dinner, they make for a great present. I love this set of four in Mourne Check from Mourne Textiles, particularly the seriousness (and won’t show the crumbs) of the black and white ‘Blazer’. A set of four comes in at £85. Nine colourways available. 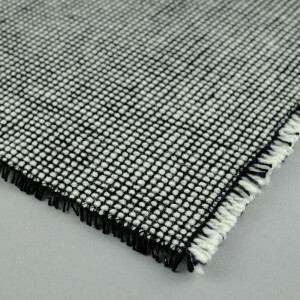 (Main image above shows fabric available also from Mourne Textiles). 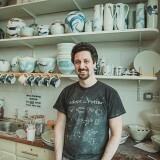 The Bearded Candlemakers are Scent Builders, Wax Pourers and StoryTellers. They make candles in a can (simple, functional design) for £12.50 each, using soy wax (biodegradable, and a renewable resource), with enticing and evocative names. 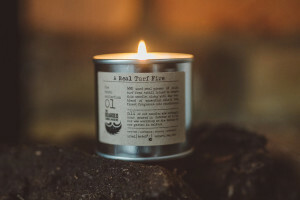 Their signature smell is ‘A Real Turf Fire’ – made using real turf from Achill Island. 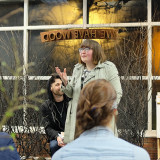 My favourite product however is their Beeswax Candles (available soon online). I was intrigued to hear about the properties of beeswax – I didn’t know that when burning they create negative ions, that neutralise bad positive ions such as allergens, dust and air borne toxins. And they look a whole lot better than an air freshener – textured, a warm yellow colour and emitting a very sweet, natural smell. Photo and prices to follow. I had to choose something that says Belfast on it – here’s a fun mug inspired by the H&W cranes with ‘A Belfast Brew’ tea by Suki Tea. Comes as a gift set for £12.95. 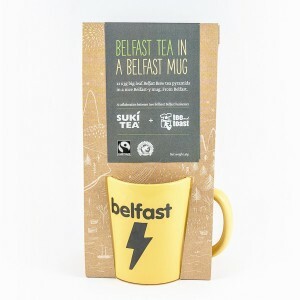 There are lots of gift ideas on the Suki Tea website – including a ‘Build Your Own Gift Set’. This seems like a lovely and very successful company who have had massive growth since the founders started with a stall at a market in Belfast. (The tea is now available to purchase in Marks & Spencers). OK so I’m cheating a bit here – these biscuits are made in ‘the South’, but I’ll do anything to have another look at that packaging and remember the taste on my lips. 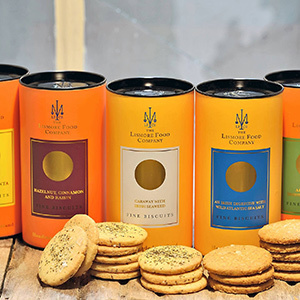 The Lismore Food Company make the most delicious sweet and savoury biscuits. If I had to have one Christmas present it would be a box of ‘Caraway with Irish Seaweed’ biscuits accompanied by a cold bottle(s) of dry white wine. (Jonathan has confessed to not being a biscuit person but claims that the Caraway ones are the best biscuits he’s ever tasted). 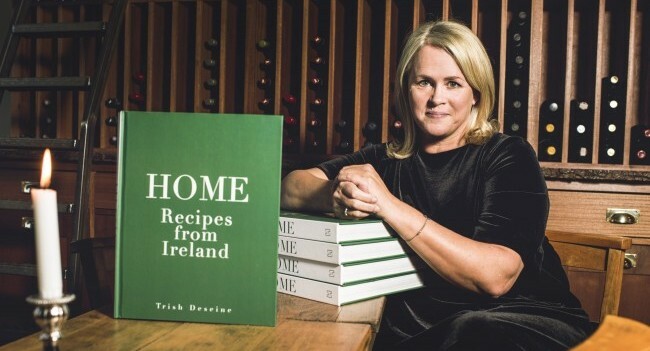 ‘Home, Recipes from Ireland’ is the latest from Northern Ireland born Trish Deseine. Deseine has spent most of her career in France and this book marks her return to Ireland and it is glorious – simple juicy recipes and outstanding photography of the Irish landscape. A coffee table book as well as a cook book. 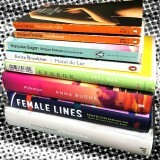 Order from Amazon for £20. You can access an incredible array of produce on Bite to Savour. 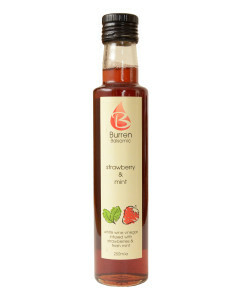 Buy individual items – I’m particularly interested in trying Burren Balsamics. And encouraged by the makers suggesting that a dash of their Strawberry and Mint White Whine Vinegar (£8.50) should be added to a glass of chilled sparkling wine. Or go for a gift box – The Taste of NI Box is £30 and includes chutney, biscuits, chocolate and tea. 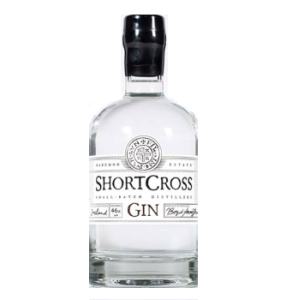 Shortcross Gin is Northern Ireland’s first premier craft gin. It has won lots of awards. I can’t wait to buy it for someone so I can try it. According to the (lovely) website it’s created to be ‘a classical Gin with a unique twist; best described as floral meadows, wild berries and grassy notes. It is highly aromatic with an exceptionally long and smooth finish’. Available to buy online from James Nicholson Wine, Master of Malt, Celtic Whiskey Shop and Gin Kiosk. Approx £40/bottle. And as of this month available in Duty Free at Belfast City Airport and other airports across the UK. 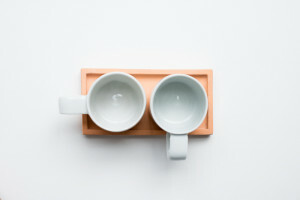 This is a stylish Espresso set (£80) from ceramicist Derek Wilson. 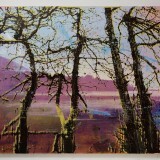 Based in Creative Exchange Artist Studios in East Belfast a number of works are available to buy online. Prices start at £40. 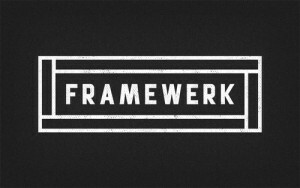 I love a screenprint. 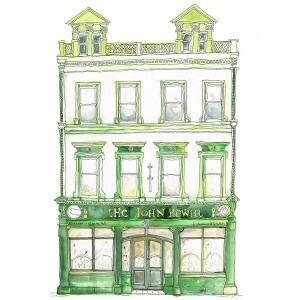 There are some great prints/watercolour reproductions of iconic Belfast buildings from Flax Fox Designs. 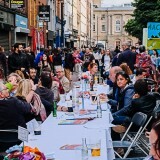 The one of the John Hewitt pub (£30) is fun. Designer Chris Tyndall produces a collection of handmade, Belfast born and bred accessories – scarves, ties and pocket squares. 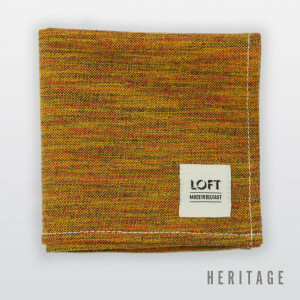 The Orangefield Pocket Square (£30) is particularly striking and although it’s more of a summer item the pink stripe linen scarf (£50) is just delicious. More ideas of products warmly received. This Christmas – BUY NI!! 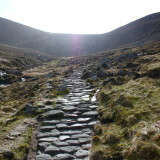 Previous story A Belfast Blog – can you name the places?